The residents of North East False Creek (at the eastern edge of downtown Vancouver) are growing restless for the long promised Creekside park, an urban park promised by the city and Concord Pacific many years ago. They have placed green lights in hopes of getting their message across to the city. The nine acres of land currently sits vacant for the most part except for a Concord Pacific presentation centre. 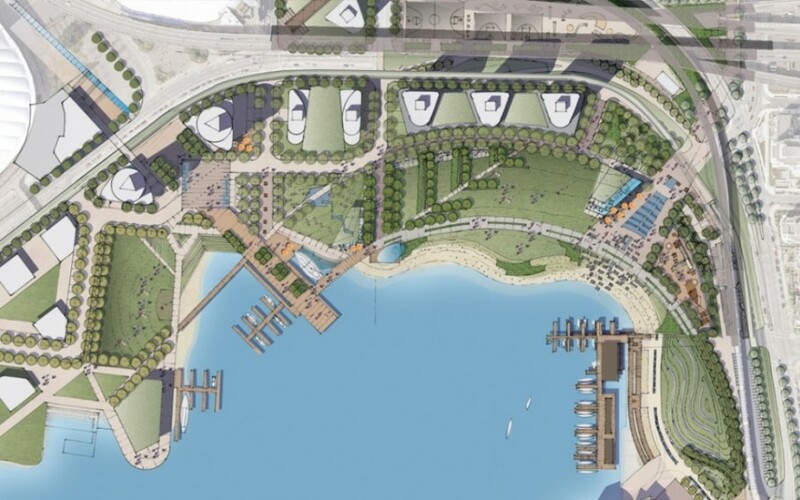 There won’t be a park built anytime soon, although there are some big plans for North East False Creek in the future. Currently, plans have been confirmed for the new B.C. Place Urban Casino Resort but not the park and the adjacent Concord Pacific lands and Plaza of Nations redevelopment. 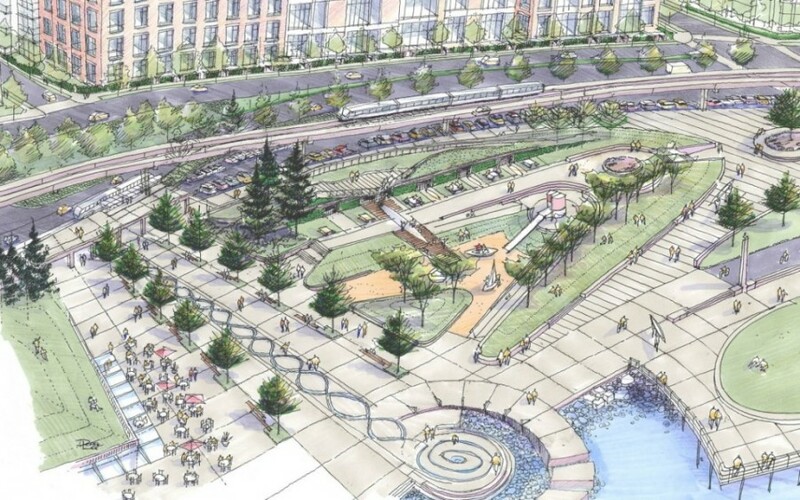 In reality, the ‘green lawn’ park will not be made until after a decision is made on the future of the viaducts. There are already a hundred bulbs in place and the resident’s association plans to approach other buildings in the neighbourhood.